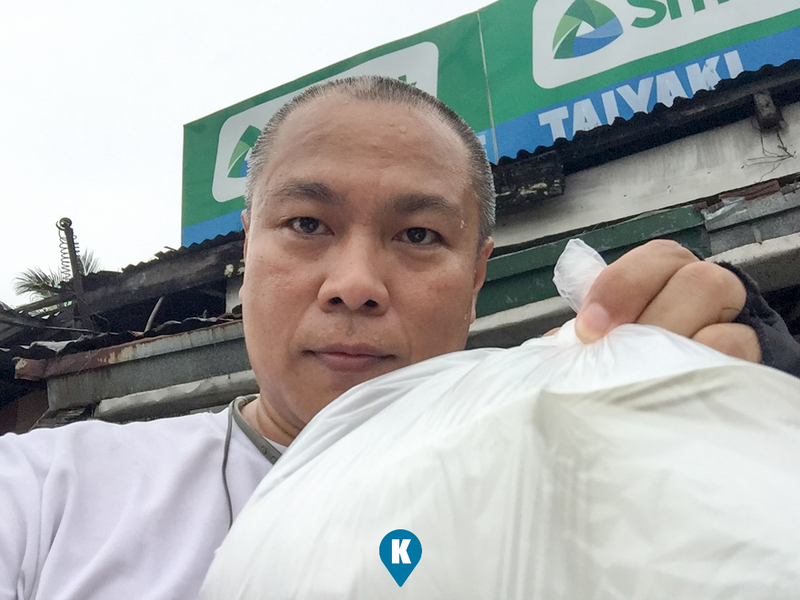 Trying out new street food is one of our objectives and we found this one after a long search. Back track a few months back, a colleague mentioned to me there's a japanese taiyaki shop along my bike route. Since I was traversing this national highway for years now through biking, I thought I knew all the shops along its way. So when I was suggested this shop, I was now on the look out for this one. It took me a while to find this shop as they maybe located along the highway, they are covered somehow with some trees and bushes and a short fence. They had a very small sign announcing their business so you will easily miss this place. The only thing that draw me to them is the presence of big japanese banners in front of their store. 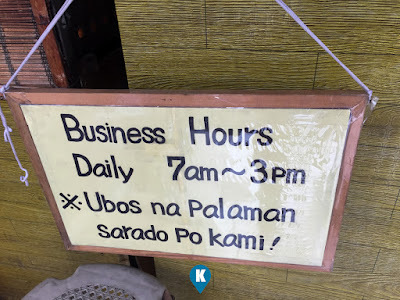 First thing I saw in front was their business hours, they are only open from 7am till 3pm. Very odd shop hours, plus the fact they announce if they run out of fillings, they close early. Wow. This means they close shop early in most days. I can attest to this as during my first visit, 2pm, they were already cleaning up. They were not selling me one as they run out of ingredients. My second time to dropby, I was there by 3:05pm and true enough they were closed. For the third time however I made sure to dropby around 11am. Now they are open. I went in and seeing the busy chef cooking quite a number of batch, I was hoping I could my order quick. Surprise surprise, the batch I saw cooking wasn't for me. It was for another order. The chef cooked another batch for me after it so it took a while to get my order. I ordered both variants, they have the custard filling and the munggo bean filling. Each one costing Php10, I ordered 10 pcs or each for a total of Php200. Now, serving wise, the fish cakes aren't that small for Php10. It's roughly six inches long and 2 inches wide and almost 1 inch thick. Yes it is that big and for Php10, this is a great price. For a budget person like me, I can get two pieces of this plus some soda, this is a great food for a hungry traveller. Just an addition, I liked the fish molds they have over their stove or griddle. Its something that came from japan and it clicks nicely when the chef closes it to form the taiyaki. Taste wise? 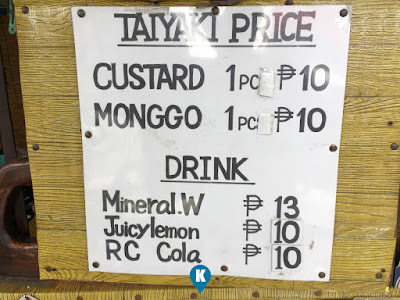 The custard was creamy and the munggo was yummy. You can really taste their flavours mixed with the waffle it came with it. It's not a far cry from your usual waffle taste so it won't taste funny. The filling will feel new as its not your usual filipino mixture preparation for custard or munggo. Nevertheless the richness of flavours you get is something that you will expect from a Php10 offering. Now price wise... Do we have to explain more? Php10 each, this is a great price. I bought 20 pieces of these babies and my grown up kids (they are 4 adults with velociraptor appetites) easily munched on these. If food (not lunch breakfast or dinner food) does not stay on our table for more than 3 hours, this means they liked it. And this Taiyaki was gone in less than an hour. By the way, the Chef knows to speak Filipino or Tagalog, so don't hesitate ordering from him. 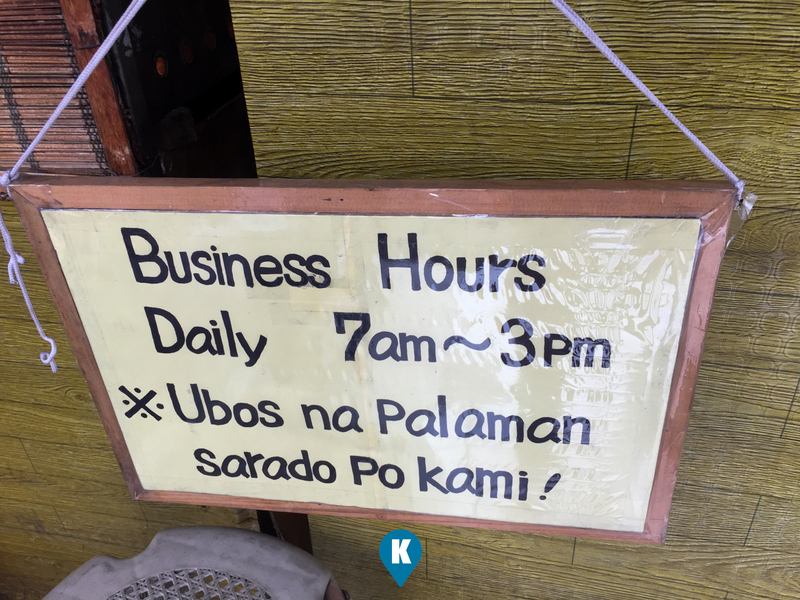 They also have filipino workers there so feel free to approach them. 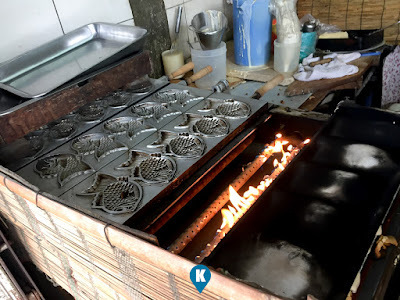 So if you happen to be in the area of Muntinlupa, and you want to try something new, head off to Taiyaki and try these delicious fish cakes or taiyaki. 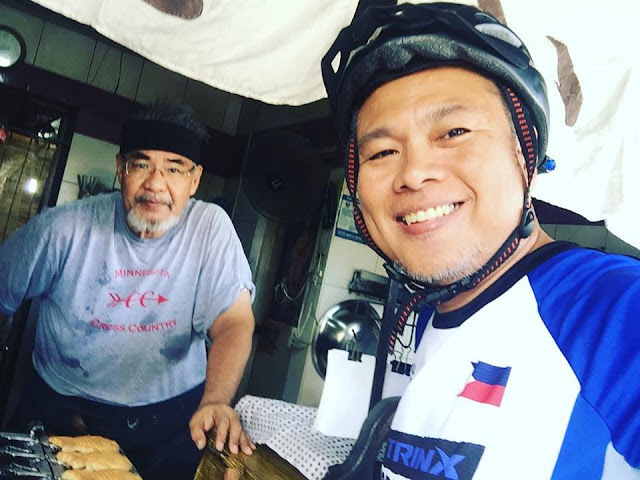 So that you will find them fast, they are located between the corners of Susana Heights and the main town of Muntinlupa (or church). They are on the left side (opposite that of the gas station) if you are going to alabang from susana heights. They close early so you are warned. 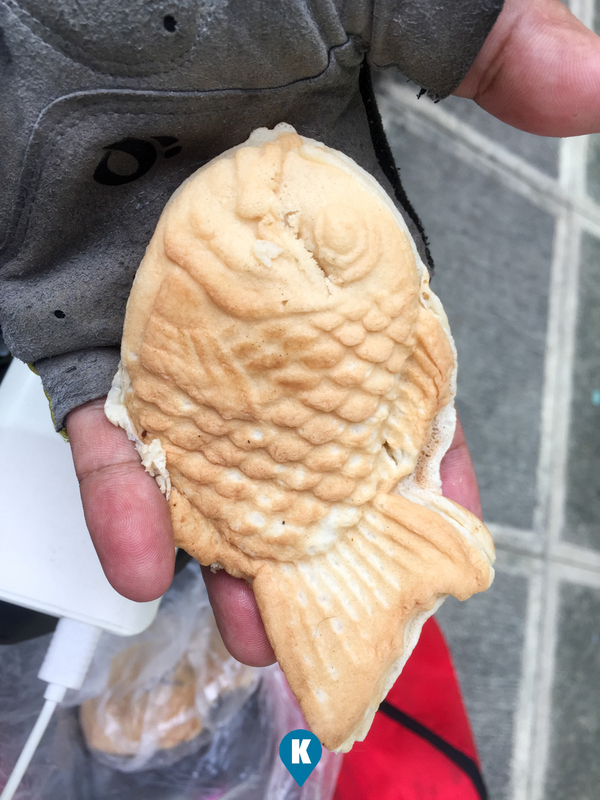 Taiyaki (鯛焼き , literally "baked sea bream") is a Japanese fish-shaped cake. It imitates the shape of the Tai (Japanese red seabream), which it is named after. The most common filling is red bean paste that is made from sweetened azuki beans. Other common fillings may be custard, chocolate, cheese, or sweet potato. Some shops even sell taiyaki with okonomiyaki, gyoza filling, or a sausage inside. 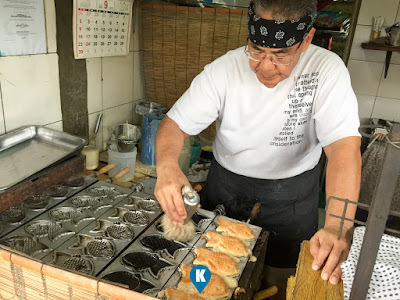 Taiyaki is believed to have originated in Tokyo during the Meiji era, and can now be found all over Japan, especially at food courts of supermarkets and at Japanese festivals (祭 matsuri). 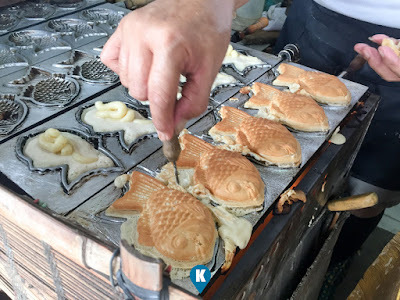 A similar item (adapted during the Japanese occupation of Korea), shaped like carp rather than sea bream, is served from street stalls in South Korea, where they are known as bungeo-ppang (붕어빵).